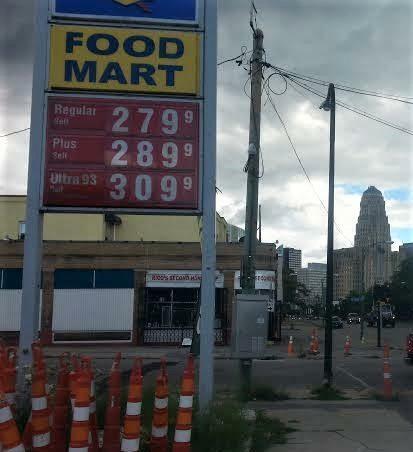 GasBuddy's daily survey of 472 gas outlets in Buffalo now puts the average price at $2.76/gallon. This compares with a rising national average, as well. "The road ahead at the pump looks quite ominous," said Patrick DeHaan, GasBuddy's head of petroleum analysis. "All signs point to some additional upward movement before prices peak and perhaps drop slightly around Memorial Day into the month of June--all certainly very contingent and subject to any changes from OPEC." Record demand with shrinking gas inventories are the recipe for price increases. OPEC’s agreement with non-OPEC countries to reduce crude production have limited gas inventories and if OPEC’s decides to cut the agreement in June, it could bring some relief at the pump. However, gas prices hitting the $3/gallon mark is not out of the question. Lindsey Kensey, communications specialist with AAA of Western and Central New York, agrees prices are likely to increase a bit more as demand increases. GasBuddy's historical data shows prices in Buffalo have ranged widely over the last five years: from a low of $2.24/gallon in 2016 to a high of $3.83/gallon in 2014. Gas prices have dipped lately, but that trend is not expected to continue, according to AAA.